Mentalist: the wife of Simon Baker tonight in episode 20 of the series! Since it landed on our small screen Mentalist January 6 last, Simon Baker became the destroyer of our Wednesday evenings. Tonight we will have again eyes for him. But Patrick Jane, he could well fall in love with another brunette that Agent Lisbon (Robin Tunney) in the episode 20 aired tonight on TF1 from 20.50. Rebecca Rigg, who is none other than Ms. Simon Baker City, will effect an appearance in the series in the role of some Felicia Scott. Not but what this nepotism? That makes us a little jealous, yes, it must be said. Because if every Wednesday on crack for Simon Baker, her golden hair and her smile (oh yes, his smile ...), then we will have to remember that Simon Baker as a real life. In this real life, there is a woman who promised she stubbornly America for better or for worse (you amaze me ...) for the rest of his life. 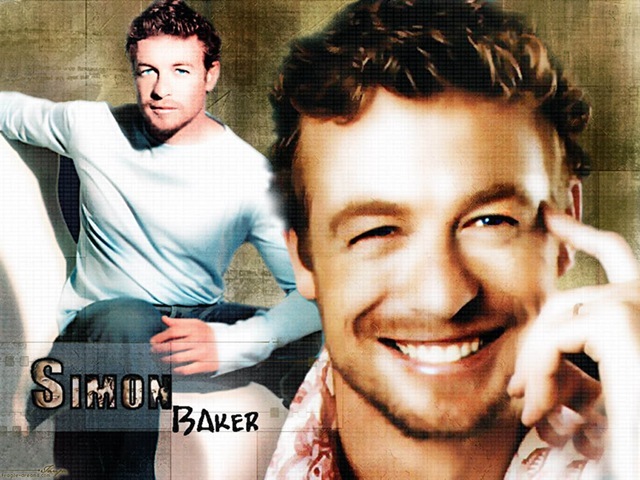 It's not just us as we were heading 'promise of love and loyalty to Simon Baker. But hey, that's life. In adversity, therefore, and because we do miss a new episode Mentalist for the world, we must remain focused on the look charming Simon Baker while imagining that it is precisely that we are trying to seduce. .. We can do it, but yes! The last episodes of season 1 Mentalist will be released February 24 on TF1. It will then wait to find the adventures of Patrick Jane, aka Simon Baker, John cons Red. Sniff. For several weeks, Wednesday was a holiday, because we had to count the hours that separated us from the episodes broadcast on TF1 Mentalist from 20.50. And then the moment of grace occurs every appearance of very cute Simon Baker in the role of Patrick Jane. That smile, those little three-piece suits, the golden hair ... Well, he'll have to do without. Life is cruel, but the last episodes of season 1 Mentalist will be released February 24. After more than Simon Baker, more smiling and more than three-piece suit for months that seem years. It's not fair, but that's life. Unless a new hero to success has made its appearance in the meantime: Dr. House, aka Hugh Laurie. Ok, the doc prefers old jeans to trousers bent, and her hair is more salt than pepper and browned. But we have not necessarily lost on exchange side sharp humor and cynicism. So we take, we will not make the difficult either. And this is just goodbye with Simon Baker as Mentalist will return. Patrick Jane still has heaps of surveys to be conducted and especially a very bad John the Red busted. And inevitably, in adversity, Simon Baker: Patrick Jane, it will always be there to encourage.